Teeth whitening is one of the simplest, most affordable and effective ways to immediately brighten your smile and improve your appearance Boise. Stained and discolored teeth can be a major cause of embarrassment and cause people to hide their smile, avoid social functions and suffer from low self esteem. Don’t let this be you! Dr. Lynn and Craig Blaisdell offer Zoom® take home teeth whitening kits that will give your smile new life AND fit in your budget. Dr. Lynn or Craig Blaisdell will Custom fit tooth bleaching “trays” to your teeth to ensure a proper fit. When you wear your tooth bleaching trays at your Boise home, you simply place the tooth bleaching gel in the trays before inserting. This tooth bleaching gel is the substance which will whiten teeth when the trays are worn. Continue the teeth whitening tray and gel usage until your teeth reach their ideal color. Patients in the Eagle ID area can use the same trays and left over teeth whitening gel to touch up your smile and whiten teeth when needed. Whiten Teeth: You obviously expect a teeth whitening treatment to whiten teeth. Our Zoom take home teeth whitening system has a great track record and will enable you to whiten teeth the way you wish you could before — effectively and affordably. Improve Confidence: An attractive smile in the Eagle or Boise area is a prized possession today. Giving yourself a gorgeous smile will do wonders in boosting your confidence while you’re out on the streets of Meridian ID. Professional Opportunities: Studies confirm that a good looking smile can benefit you in the work place. Utilize teeth whitening to give yourself a leg up. Live Again! : Don’t sit at your Boise home and hide your smile. Let our cosmetic dentist work with you to create a beautiful white smile so you can go out and live your life! Call and schedule a visit to our Boise office near Eagle and Meridian ID today to learn more about teeth whitening. We’d be happy to help you brighten your smile! 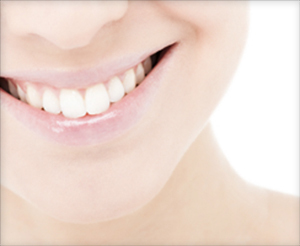 Ask about our general dentistry and restorative dentistry treatments.